At Republic West Remodeling, we have a lot of experience with bathroom and kitchen remodeling. In fact, we talk to a lot of homeowners about updating their cabinets and what is involved in the process. Here is one common question that often comes up: Should I reface my cabinets? Or replace them? There is a significant difference between the choices. For starters, refacing cabinets involves leaving your existing cabinets in place and replacing all of the doors and drawers with new doors and drawers. As part of the process, we install a veneer over the cabinet bases. Also, when refacing cabinets, the hardware, the hinges, and the drawer slides are updated. When it comes to replacing cabinets, entirely new cabinets are installed which can help make an old space look modern, and improve the design and configuration of the space by creating additional storage options. For example, you can create the layout for optimum functionality by adding convenient features like hidden, pullout trash cans and recycling bins, rollout shelves, and lazy Susans. The decision to replace your cabinets should include the larger time commitment involved. The project typically takes several weeks, especially if it is part of a bigger home remodeling project. 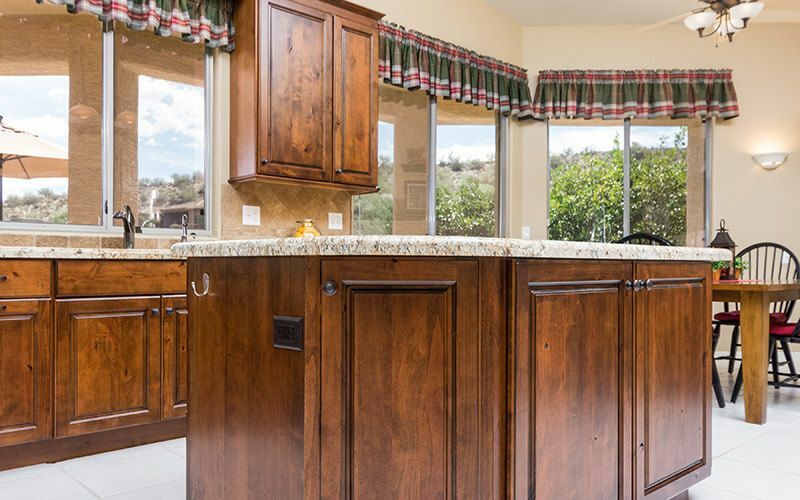 Republic West Remodeling is your first destination for cabinet refacing in Phoenix and the surrounding areas. We work closely with each client to design and install cabinets that add sophistication, style, value, and function to their home. We will work with your budget whether you are looking to reface or replace your cabinets. We are ready to put our skills to work for your next bathroom, kitchen or home remodeling project. Contact us today to learn more!